The Prime Hero is the batting glove for the serious players looking for the ultimate performance and feel. Combining C-TACK Performance Grip and Premium Micro-Tex Etched Cabretta Leather on the palm creating the ultimate combination of grip and feel. C-TACK helps minimize grip pressure causing less muscle tension leading to quicker bat speed and smoother swings. 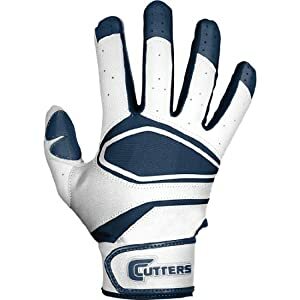 Back of hand designed with precurved fingers for natural grip on a bat, and premium smooth Cabretta leather fingers and thumb for added comfort. Designed for maximum comfort and flexibility, the Prime Hero provides a lightweight, pro-level grip and comfort for all levels of play.